Another post contribution from our Automation Partner Paul Wade. 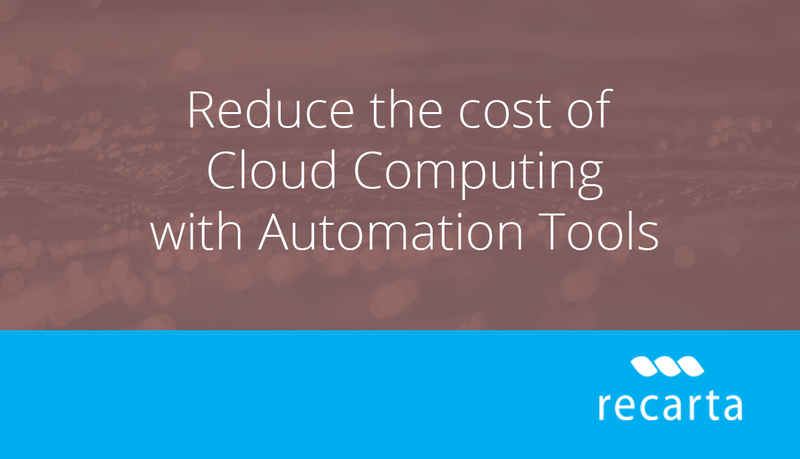 In this article Paul discusses how Emerging Automation tool can reduce the cost of Cloud Computing management and ensure smooth running of your power consumption. We are on the brink of a major shift in IT automation, one that will see greater confidence and deployment of tools and a broadening of what we ask automated systems to perform. A great deal of Enterprise IT automation has been siloed and limited to functionally specific tasks; backups, software patches, file transfers, payments and so on. Some of the bigger IT automation specialists such as BMC have cleverly shifted upwards to embrace Service Management automation and Service Management specialists such as ServiceNow are strengthening their automation credentials. Businesses are waking up to the power and need to spend less effort on running the business and more on evolving the business. Automation is a major unpinning for this evolutionary path and to support many transformation initiatives. Not only does the automation manage these tasks for you but it can check office sensors and server activity to ensure they really are unused. I’m convinced the saving will justify the effort. As climate issues begin to shape businesses over the coming years there will be more companies such as ParkMyCloud that address the need to reduce energy costs. However, if you have an IT Process Automation (ITPA) tool you can already achieve these benefits with a little configuration. If you would like to improve the efficiency of your organisation and would like to speak to Paul to explore your available option please contact us to arrange an initial conversation. Copyright 2019. All rights reserved Paul Wade. Used with permission from the author.